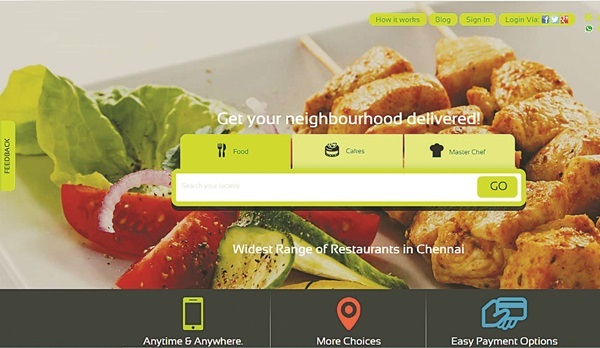 When Pratik Kumar Agrawal says that food delivery in Chennai can take up to an hour or more, we dona��t disagree. But when he adds that this is the slowest in the country, we cana��t help but feel cheated. a�?Through LocaLegs, we want to bring this down to 40-45 minutes, which is the average delivery time of the other metros in the country,a�? says Agrawal, about the new delivery service he has launched in the city. Hailing from Chhattisgarh, he and his partner Vivek Poddar (both IITians), have come up with what theya��re calling an end-to-end solution that includes placing your order from multiple restaurants (on their website or app) and making payments online. But thata��s not all. a�?Our a�?food pilotsa�� are tracked real time and we want to be the first in the country to provide customers with real time tracking of their delivery,a�? says Agrawal, who has signed up more than 200 restaurants across the city in just 15 days of operations. a�?We have 50 a�?food pilotsa�� on ground right now and are looking at signing 2,000 restaurants with 300 a�?food pilotsa�� over the next three months,a�? he shares their plans for Chennai. Post this, LocaLegs will look at establishing itself in other cities like Ahmedabad, Kolkata, Hyderabad and Chandigarh.